USK Praha made the first step torwards Semifinals. 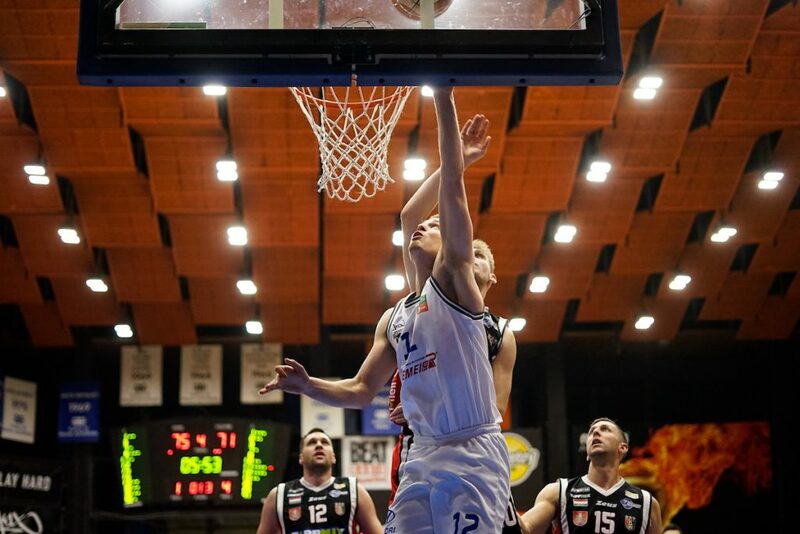 The young Czech team overcame favourites from Körmend 95:87 in the first Quarterfinal. Venue: Sportovní hala Folimanka, Prague (CZE). Scorers USK Praha: Appleby 23, Bohm 18, Stevanovic 14, Vukosavljevic 13, Sehnal 10, Mareš 8, Tůma 7, Křivánek 2. Scorers Egis Körmend: Hammonds 20, Price 16, Bradford 12, Delas 10, Csorvasi 10, Ferencz 8, Thames 7, Balogh 2, Nemeth 2. It was game with two difference halfs. Egis took easy lead 10:2 at the beginning of a game becouse of USK Praha turnovers. Owls woke up after time-out and tied the score but Egis turn on the engine again. After first 10 minutes was score 18:30 and 10 points scored Hammonds. Home team returned to the game at the beggining of second period by few long distance shoots, but the main problem persisted – poor defense. The Hungarian team continued the good percent shooting and managed half time lead 45:36. But the game was not over. Home team won third quater 29:18 and fans were happy that there is still a chance for dramatic end. Five minutes to the end of a game and score was 77:71. Nice basketball on a court and better home defense that moment. The owls also won the last quarter by 5 points and that means that they have +8 point for revenge in Kormend. Great game had tonight David Bohm. This U19 forward scored 18 points. He is also MVP of a game.